Our coolest Scrapbooking kits! 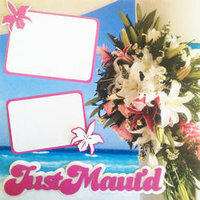 Our Kit Gallery shows pictures of pages we made using the items in the kits such as our Hawaii themed lasers, papers and embellishments. Choose to create the same by using our example or change it up and make it your own!